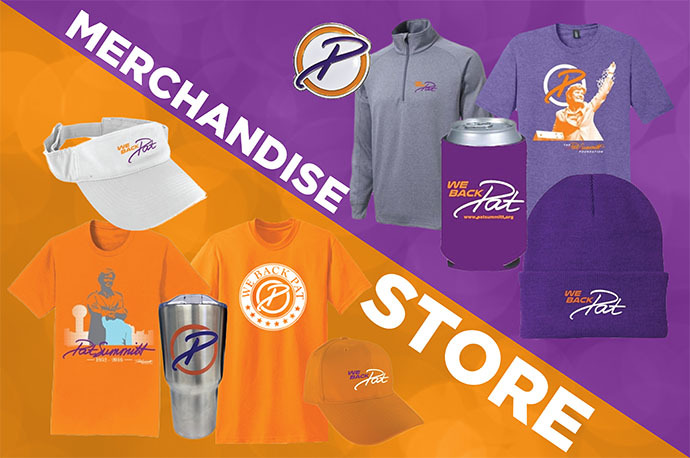 Sales of Pat Summitt Foundation merchandise and autographed products featuring the “We Back Pat” phrase help promote awareness of Alzheimer’s disease and the urgent need for a cure. The “We Back Pat” phrase is a rallying cry to the public to learn more about Alzheimer’s and join the fight against this disease. If you experience any trouble with the site, please try using Google Chrome or Mozilla Firefox as your browser. We have experienced some issues with Internet Explorer.